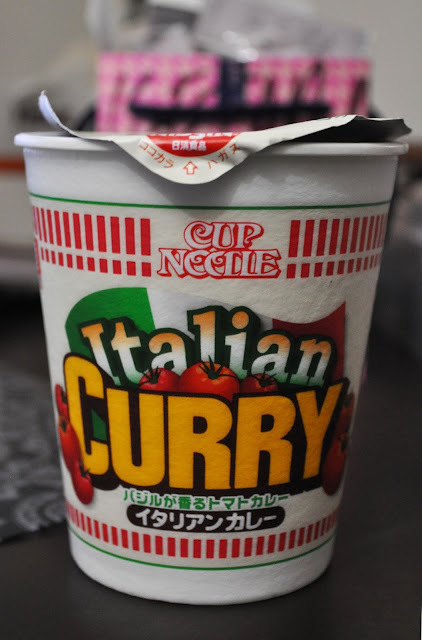 Enter Cup Noodle's Italian Curry. Now, I love Italian cuisine and all forms of curry. But, the combination of the two sounds absolutely indigestible. What new treats have you tried this week? it looks great!i've never tasted anything like that and i love italian food!have a lovely day! Japanese cooking is so amazing, I cant understand why someone should create this! Curry is very popular in Japan, so it was a matter of time till someone came up with this...I wonder what's next? I love your posts about just stuff you buy in Japan . So cool. I can't imagine both together.... 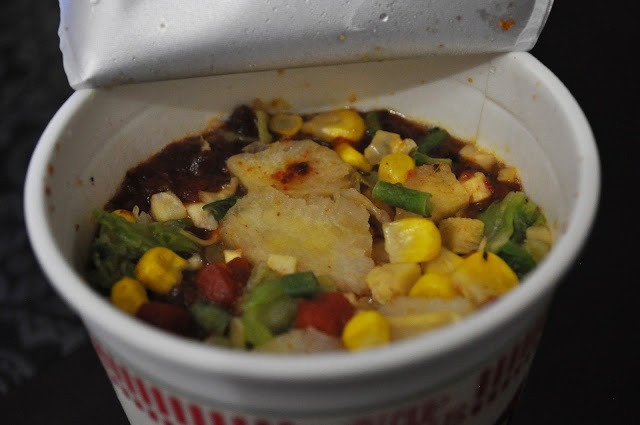 I would like to try it too... but the cup noodles we have here in the US.... they are pretty much indigestible..... I am jealous of you!!! Cup noodles and those instant ramen packets helped feed me through college. I think you're very brave to have even considered putting this mixture into your mouth. Yuck!! I guess a good portion of MSG can make anything taste good?